Warm and Fuzzy with an ATTITUDE! Great description of Shattered Lives guest, Jillian Maas Backman, author, intuitive facilitator and award-winning radio host! 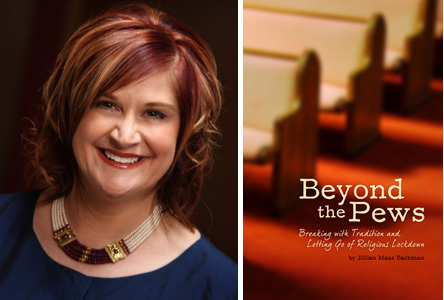 Jillian, author of Beyond the Pews: Letting Go of Tradition and Breaking Away From Religious Lockdown, is also the host of her own radio show, Change Already! broadcasting each Thursday at noon Central time. “The quintessential preacher’s daughter, she was raised in the traditional church, honoring her faith and her church, while tapping into her intuitive abilities. The self-awareness of her soulful connections, melded with her intellect and intuition, culminated in an understanding of how this process could enlighten all aspects of her life, while at the same time seeking to enlighten others”.